Welcome to the last week of the 2015 Virtual Curriculum Fair hosted by Susan @ Homeschooling Hearts and Minds and Lisa @ Golden Grasses. The topic this final week is Seeking Beauty: the Arts and Everything that Brings Beauty to Our World. So, what brings beauty to our homeschool? Succinctly, my child's smiling face, infectious laugh, and relief when we set a schedule to fit her abilities. But this is a curriculum fair, and not a philosophical discussion about beauty. Unfortunately, we don't have much of a curriculum for this topic. There are many ways wee seek out beauty, but very little (if any) includes formal curriculum. 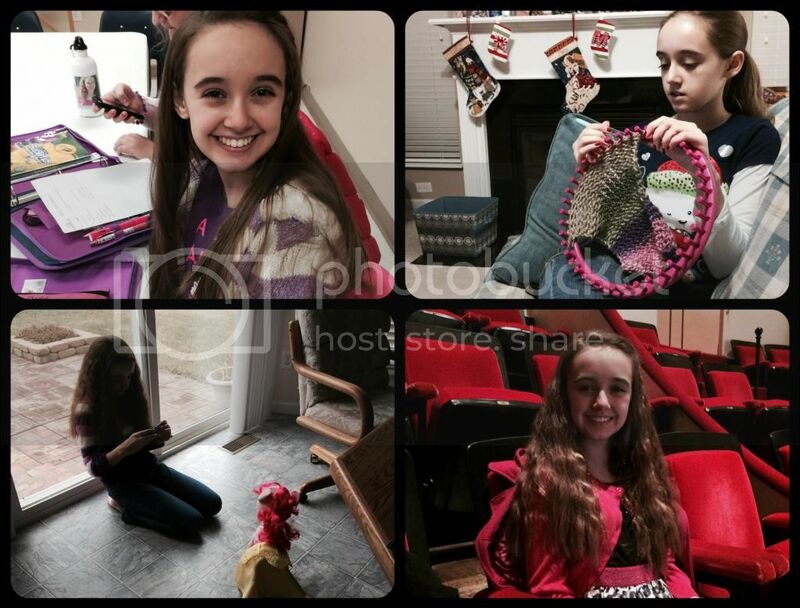 Let's instead look at the items that make our girl smile and laugh? In the past she adored dance, looked forward to art classes at the local art / pottery store, her piano lessons and just about any activity with friends. Now there isn't energy for all of those activities. We did join a homeschool group with a co-op a little over a year ago and Amber loves every second of her time with this group. We choose to use the homeschool co-op for enrichment classes only, yet there is still plenty of topics to keep Amber busy there for the large part of one day each week. Last school year Amber started with an art class at the co-op which was fun at first, but lost its luster later in the semester. Drama at the co-op, on the other hand, couldn't be a better experience. Last year she was a goblin in a small production of The Hobbit; for the Christmas just passed she was Mary in a pantomime; and now for the current spring production she is Susan in The Lion, the Witch, and the Wardrobe. Amber has returned to an artistic class with photography art this semester. It is a combination of photography instruction with art projects using photos they take each week. It's a great balance of learning and art. Additionally, Amber takes a teen Bible study, which although it is taught non-denominationally, has given her a chance to enjoy being in God's word without the concentration level required for her regular confirmation class. 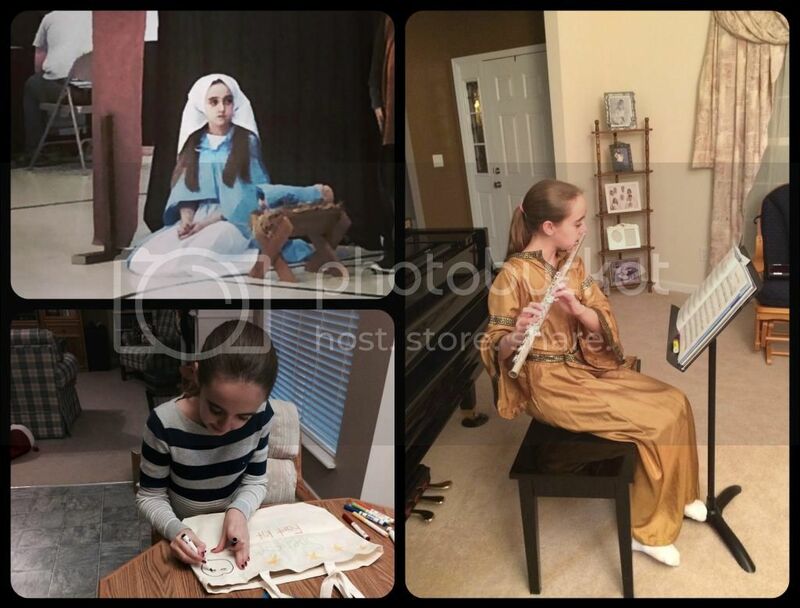 Outside of the homeschool group Amber takes weekly flute lessons and intermittently plays in a band. This is after 6+ years of piano lessons too. There is nothing more beautiful than to listen to an earnest music student on the flute. It is truly a lovely instrument. Those are all structured classes that add beauty to our homeschool. However, we spend a good deal of time crafting and simply creating on our own at home too. Amber is particularly partial to knitting and other yarn crafts. She also loves to doodle and simply create with the art supplies on hand. We've recently signed up for a subscription to Doodle Crate and await our first delivery. Amber is very excited to have craft projects delivered to our door once a month along with the promise to dedicate to the projects. We also enjoy attending the symphony and touring Broadway productions as a family. We never expected Amber to so enjoy these events, but she looks forward to them possibly more than the adults. That's how our family adds beauty to our homeschool and family life. It's not perfect, but nothing in life ever is. Thanks for joining us during the 2015 Curriculum Fair. We've had fun sharing and reading all the great ideas from other families. 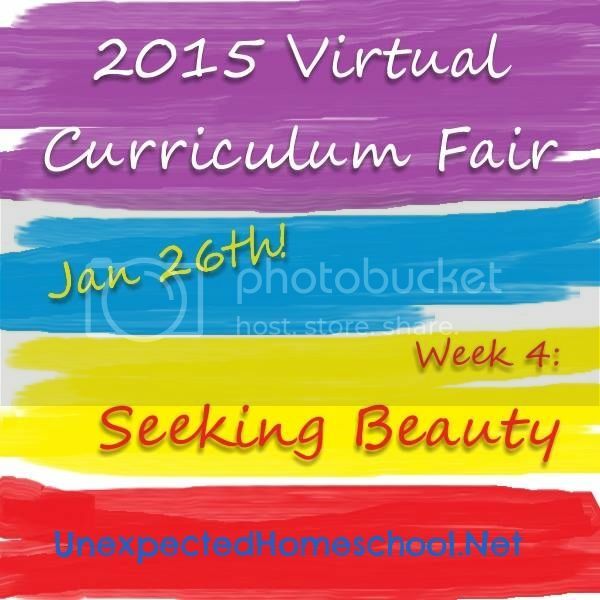 Please check out how the other members of the 2015 Virtual Curriculum Fair are finding Beauty in their worlds. Amber manages to do so much. You must be very proud of her fight and her happy attitude.